The Hero Destini 125 has the shortest wheelbase amongst the three at 1,245mm, which should make it a little easier to manouevre in tight traffic conditions. the Activa 125 and and Access 125 measure 1,260mm and 1,265mm respectively. The difference in overall length is even more pronounced with the Access coming in at 1,870mm, while the Activa and Destini stand at 1,814mm and 1,809mm respectively. And surprisingly, the Access 125 is also the slimmest at 655mm, while the other two measure over 700mm. The Access 125 also has a slight advantage in ground clearance at 160mm. The Destini and Activa both have clearance of 155mm. In terms of weight, the Access wins again at 102kg, while Activa and Destini weigh 110kg and 111.5kg, respectively. All three scooters have 125cc air cooled single-cylinder engines. 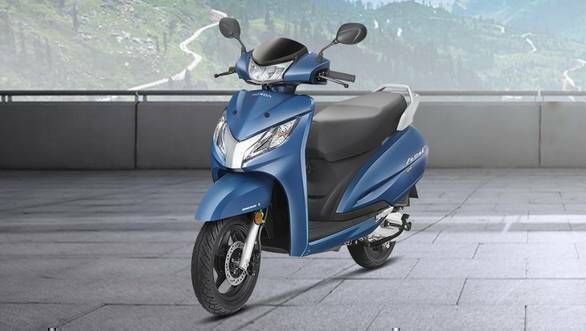 The Destini 125 and Access 125 output a similar 8.7PS, while the Activa is right behind at 8.6PS. The Activa however has the higher torque figure of 10.54Nm, while the other two have a similar 10.2Nm. All three have telescopic front forks, and hydraulic suspension at the rear. 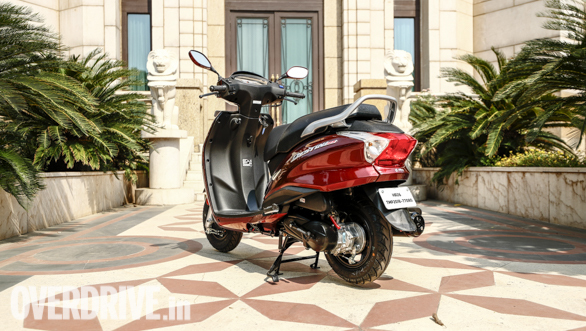 The Access and Activa both get 12-inch front wheels and 10-inchers at the rear. The Destini, however, continues to sport 10-inch wheels at both ends. When it comes to braking, the Destini and Activa both sport 130mm drum brakes, while the Access has 120mm drums. The Activa and Access also have the option of a front disc brake, which is not the case with the Destini. Additional features such as combined braking are common to the scooters. All three scooter features cast alloy wheels. Only the Activa 125 here gets LED lamps. The Destini seems to match the top two scooters in most aspects. Its shorter wheelbase and wider dimension should present a degree of maneuverability while also adding some comfort. 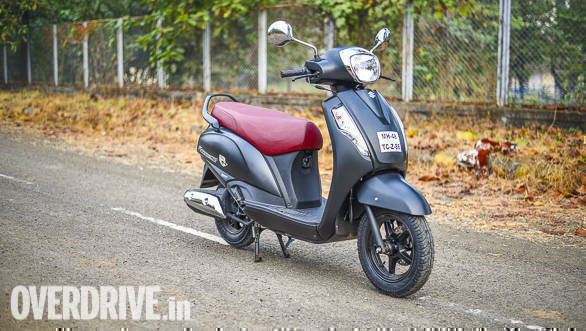 The Access 125 has had a good run with its performance, refinement as well as ride quality in the segment, while the Honda Activa 125 has been popular too. 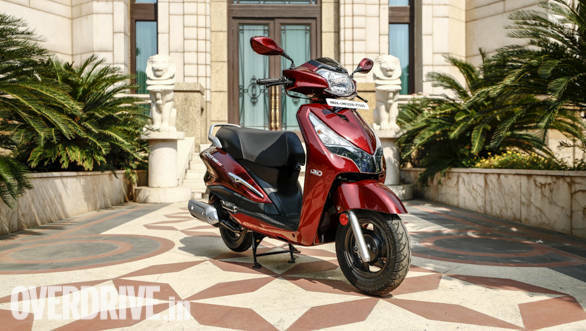 However, the Destini brings value to the table, being the least priced at Rs 54,650 for the base LX trim, while the Access 125 comes in at Rs 55,045, and the Activa 125 is at Rs 57,497 (all prices ex-showroom Delhi).